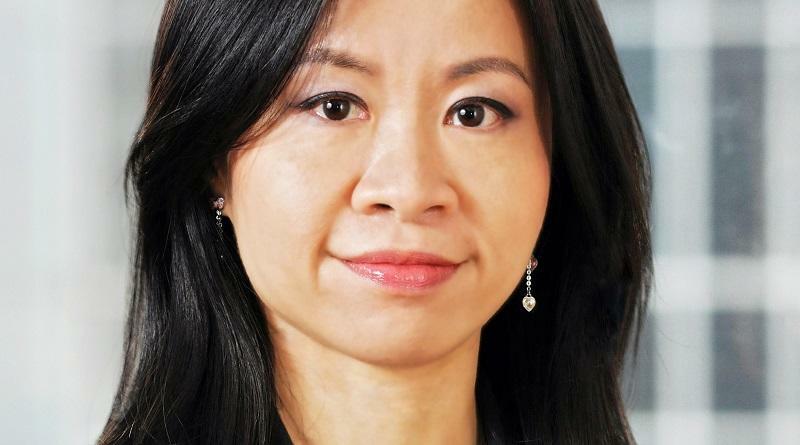 Edith Wong, Chief Marketing Officer at Invest Hong Kong, in this interview illustrates how “Asia’s World City” positions itself as attractive place for foreign direct investment and businesses. She also reflects on the challenges of city branding. Our interview with Edith is part of a special series with country branding professionals facilitated by Bloom Consulting, specialized in place branding and in tracking the digital brand and online reputation of cities and nations. Edith, do you remember the first time you thought about “Brand Hong Kong”? What triggered your interest in representing and promoting the city region overseas? Brand Hong Kong (BrandHK) is a strategic communications programme to promote Hong Kong as “Asia’s world city”. Extensive research was conducted to understand Hong Kong’s competitive strengths, what Hong Kong stands for, and what Hong Kong aspires to be. Brand Hong Kong is centred around the positioning statement “Hong Kong: Asia’s World City”, which reflects the core values and attributes of the city. Hong Kong is a free and dynamic society where creativity and entrepreneurship converge. Strategically located in the heart of Asia, it is a cosmopolitan city offering global connectivity, security and rich diversity, and is home to a unique network of people who celebrate excellence and quality living. I was born and raised in Hong Kong. Working with Invest Hong Kong gives me the opportunity to promote our city to the world. I feel very honoured and privileged to do so. As Chief Marketing Officer of Invest Hong Kong, in your view, what does “Brand Hong Kong” stand for? And how has it evolved during the last years? Branding is an ongoing, evolving process that takes time. Asia’s World City still holds true. Recently we have added another dimension, or tagline: to “connect and excel”. It highlights how Hong Kong’s high degree of connectivity, globally and with the Mainland of China, helps propel people and businesses to excellence in their chosen fields. With sound fundamentals, advanced soft and hard infrastructure and world-class talent, Hong Kong is the best place in Asia to help you connect and excel. Having attended the City Nation Place Asia Pacific conference in Singapore this May, which place branding insights or examples shared at the event did you find the most useful for your own work? Indeed, what makes a place attractive is the concerted efforts of the many parties and organisations involved. It is important to align all stakeholders under a unified and compelling message. Collaboration requires more effort, but the results will also be bigger and more impactful. In a nutshell, how does Invest Hong Kong attract foreign investment and support the city region’s business community? Our role is to create a compelling narrative for Hong Kong and to keep overseas and Mainland business communities aware of the latest opportunities that Hong Kong can offer. We have a matrix structure – in our headquarters here in Hong Kong, we have sector specialists around the priority sectors, including for example, innovation and technology, financial services, financial technology (fintech), creative industries, business and professional services, tourism and hospitality, transport and industrial, maritime, consumer products, etc. We also have offices in 30 cities around the world who work seamlessly with the sector teams to provide customised information and support to potential companies or individuals looking to set up or expand business in Hong Kong. On the marketing front, my division looks after the overall branding for InvestHK, marketing and communications, media relations, social media, events, website and digital, market intelligence and strategic research. The key job is really to integrate all these elements together and to align our messages with all the stakeholders, to make sure we have a consistent message and project a positive image for Hong Kong. Securing adequate funding for place branding and promotional initiatives can be challenging. How does Invest Hong Kong measure success and ROI of your work? Number of projects completed (i.e. investment projects resulting in an overseas and Mainland Chinese company setting up or expanding its business in Hong Kong with the assistance of Invest Hong Kong). Online platforms and communication channels have become very influential in terms of people’s perceptions of places. How important is Hong Kong’s “digital place brand” for your work? Bloom Consulting’s Digital City Index measures the appeal of various cities in the digital world. In their 2018 report released at the conference in Singapore, I was delighted to learn that Hong Kong scores the highest in being a talent hub for students and an innovation and technology hub for investors. This is particularly important and relevant to us these days, as innovation and technology are high on our Government’s agenda. In the past two years, the government has invested HK$78 billion (US$10 billion) to support innovation and technology development. It is important to make known to the world the enormous opportunities here in Hong Kong and in this regard, our digital place brand is particularly important in reaching out to our target audience. Apart from digitalisation, which other major trends are likely to influence the work of country branding and FDI professionals in the years ahead? The impact and process of urbanisation, the rise and use of influencers, and rapid technological breakthroughs that are going to happen at a speed faster than we expected. Connect with Edith Wong on LinkedIn or find out more about the work of Invest Hong Kong here. Our interview with Edith Wong is part of a special series with place brand professionals in Asia, facilitated by Bloom Consulting. Its Digital Demand – D2© tool is designed to help cities and countries understand and manage their brand online. Enjoyed our interview with Edith Wong on the branding and marketing of Hong Kong as business and investment destination? Spread the word!